Dr. Ichiro Amimori, CEO and co-founder of Xenoma, is developing the next-generation in smart wearable apparel. Prior to co-founding Xenoma, Dr. Amimori worked for FUJIFILM for nearly 20 years in various engineering and leadership roles where he brought a number of optical films for displays and document security to market. In his career at FUJIFILM, Dr. Amimori was the inventor or co-inventor on 95 issued patents that spanned many industries. Since leaving FUJIFILM in 2012, Dr. Amimori has devoted himself to improving social values by leveraging leading-edge technologies and working as a freelancer serving Japanese universities and companies. He prides himself as researcher of Science, Technology and Society (STS) focused on technological innovations which enhance the relationship between man and machine. 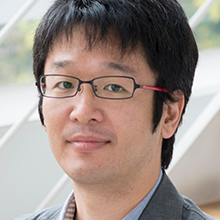 As such, he joined JST/ERATO Someya Bio-Harmonized Project at the University of Tokyo as a group leader which spurred the creation of Xenoma Inc. Growing up in a Japanese generation situated between the “post-war economic miracle” and the “lost decade”, he is an advocate for a “Japan Entrepreneurship 2.0” start-up ecosystem to fuel technology innovation. Dr. Amimori received his Ph.D. in Materials Science from Brown University in 2006.